“Ave Satani” a Reel Dark Story! My short story, “Ave Satani,” will be featured in the Reel Dark anthology. Described as a “sojourn into apocalyptic soundscapes”, “Ave Satani” tells the story of a legendary film composer’s unused final score, one that should have remained lost forever. 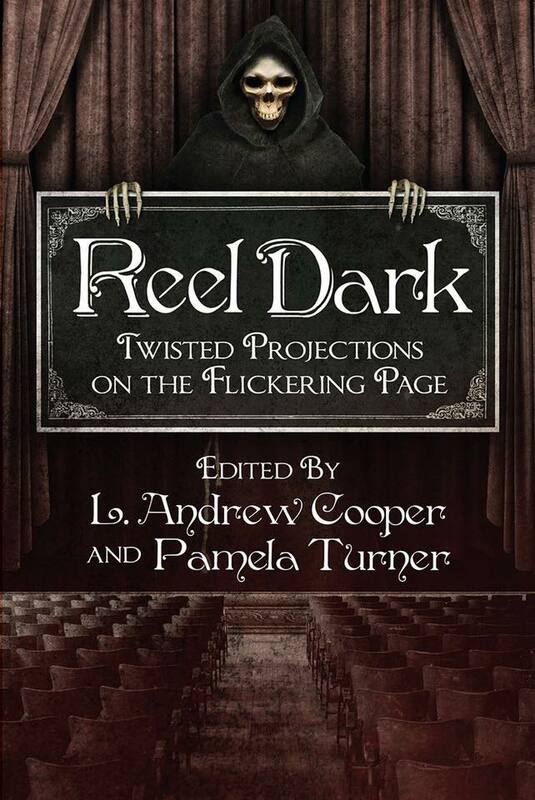 Seventh Star Press is proud to reveal the cover art by Aaron Drown of Aaron Drown Design for the new edition of the Reel Dark anthology from editors L. Andrew Cooper and Pamela Turner. With a cinema theme and a mix of speculative fiction tales that include suspense, horror, science fiction, fantasy, and even poetry, readers will find this anthology a unique and captivating reading experience. This edition features 2 brand new stories, one from bestselling horror author Michael West and one from acclaimed author and editor Alexander S. Brown. eBook and print editions are set for release in the first week of May. Welcome to a macabre cinema for the imagination, to twisted tales projected not on a movie screen but on the page. 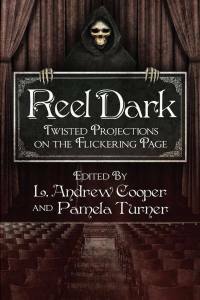 In Reel Dark you’ll find suspense, horror, science fiction, and fantasy in fiction and poetry by authors ranging from new voices to bestsellers. From the battle for recognition between a child actress and a vengeful, long-forgotten film star in “Whatever Happened to Peggy…Who?” to a hapless artist whose talent propels him into a nightmare of jealousy and revenge in “The Dreamist,” the authors have created worlds filled with madness and twisted desires. Where the lines between reality and fantasy blur, where films flicker at 24 frames per second, we catch a glimpse of strangers’ dreams and nightmares. As David Lynch puts it, “This whole world is wild at heart and weird on top.” As Karen Head writes in her poem “Amnesia,” responding to Lynch, “In the movies / everything is illusion.” But with cameras everywhere, how do you know whether you’re in a movie?